The GrainHouse Collection from AndThat! Thanks andThat! for sponsoring this post. Today I am excited to partner again with andThat!, which is legitimately has become a favorite store in town, to share the brand-new Grainhouse collection. This exclusive new collection channels farm-house style and “Joanna Gaines.” I literally wanted EVERY SINGLE THING when I went to my local Atlanta-area store to shop! 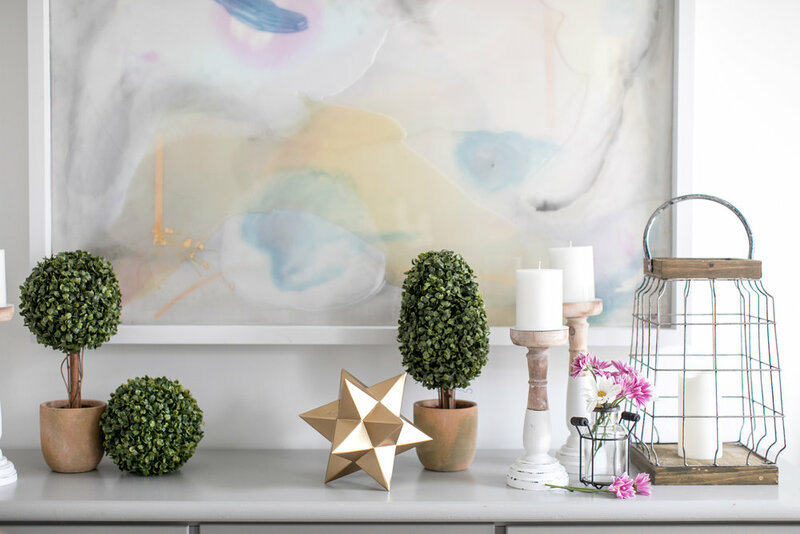 From tableware and placemats to baskets and vases to wreaths and topiaries, and even furniture, the gorgeous designs and incredibly affordable prices of The Grainhouse Collection are simply amazing! 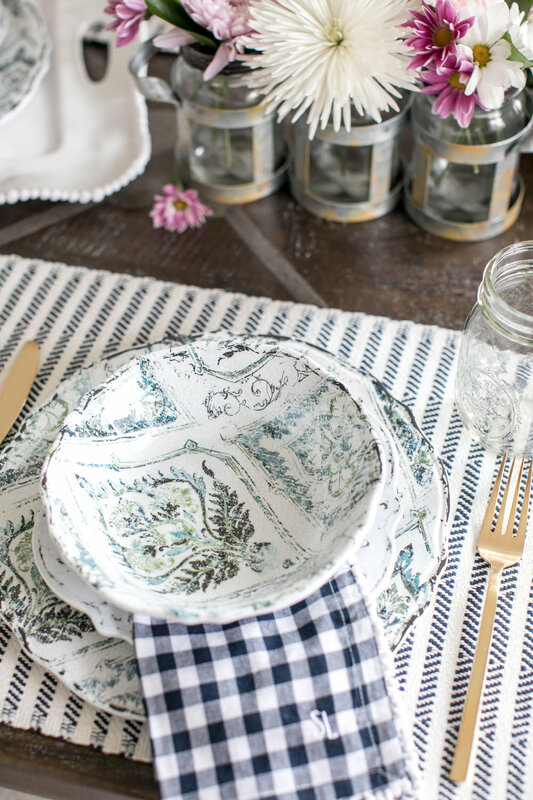 I set a pretty farmhouse-inspired tablescape using The Grainhouse Collection, and it makes me so ready for Spring! I love that these striped placemats will carry into Summer, and that these acrylic plates and bowls are oh-so-practical for fuss-free entertaining with children! These mason-jar vases were some of my favorite Grainhouse purchases, and make amazing gifts. They make a simple bouquet of wildflowers extra gorgeous! It’s hard to believe these vases were each under $7! I continued the farmhouse decor from The Grainhouse Collection onto my dining room sideboard. I absolutely love these topiaries, candle sticks and lantern, all from the collection. All in all, the Grainhouse pieces are fresh, vibrant and can add so much texture and cheeriness to any space, as evidenced by my dining room! In terms of shopping these gorgeous goods, I recommend finding your local andThat! store. I shopped in person in the Kennesaw, Georgia store which is currently the only store in the Atlanta area. It’s well worth the drive if you are like me and don’t live nearby! Plan adequate time to shop because AndThat! has so much goodness to browse! If you don’t live in the vicinity of a store, you can also shop some of these items online. 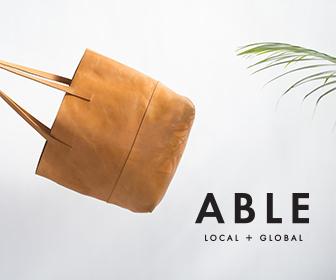 I recommend shopping soon to snag The Grainhouse pieces you love most.